Now that it’s Fall (yes hard to believe with the unseasonably warm temps off and on) it’s time to suit up in style and prepare for the cusp of the crisp season! Oneness is what comes to mind when sporting this jacket. It fits securely so the irritating elements can’t seep through. I was impressed at the ability to fasten the garment effectively at the wrists to keep the dreaded damp out! 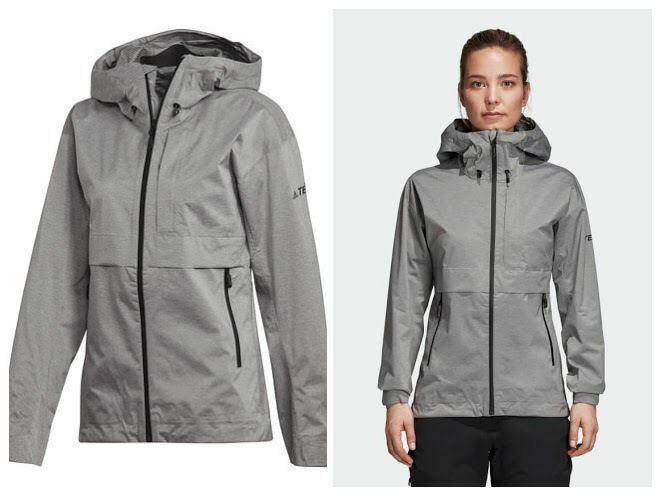 The outerwear piece is seam-sealed to block out the wind and rain to help keep you dry on the trail. The item has an activated charcoal backing to maintain a dry, nonstick feel on the inside. Garment stuffs into its own pocket for easy storage in a pack. If you crave candy colored footwear, this style may just hit the spot! The shoe not only brightens your rainy day but also is so comfy on your feet as you move. I love the grip feature that is on the bottom of the boot, no more slipping and sliding during a wet walk. 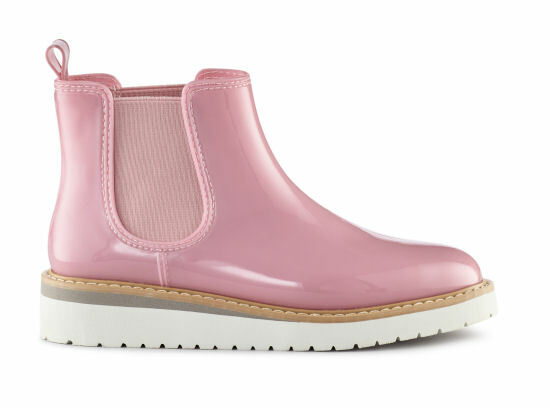 Ankle-high, glossy, man-made rubber rain boot. Double elastic gore closure. Always Waterproof with memory molded insoles and a 1.25 inch wedge heel. 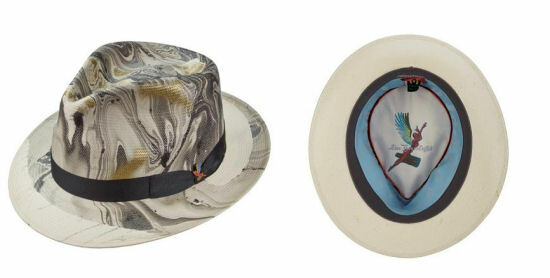 Santana’s shantung fedora is the season’s haute hat! Fashionably forward, no two hats are alike. Each one is created with a technique called Hydorpainting. The item has a natural feel when worn and is a total spotlight piece. Hand distressed band, each done by hand. Looking for frames you actually want to wear rather than by necessity? This polished pair of glasses are ideal for everyday wear by featuring a flattering rectangular shape. The flexible spring hinges allow for comfort and versatility. Glossy, black acetate finish and single silver stud accents in the corners. 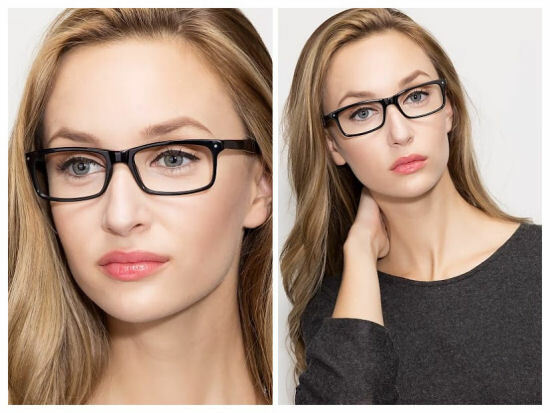 Impressively sturdy and strong, this fashionable frame has an intriguing design and tasteful shape. High-quality spring hinges ensure a secure fit during extended wear. Very comfortable! Materials: stainless steel and handmade acetate. This weekender bag is function and fashion combined. The plaid pattern is the quintessential seasonal staple. The interior is roomy enough to fit all your essential elements. 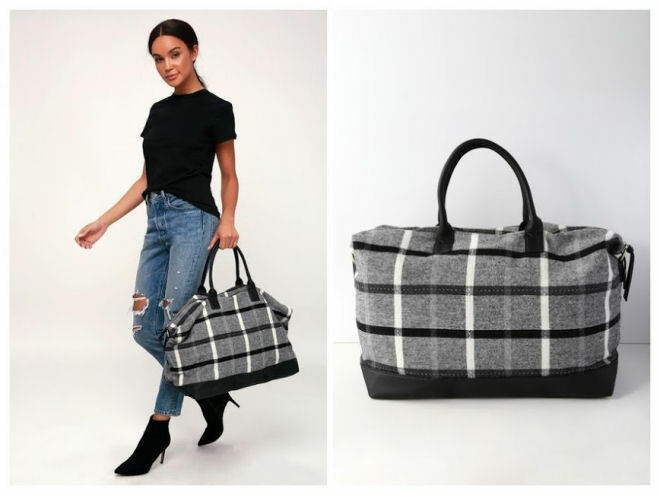 Bag is designed with black and white plaid woven fabric, and black vegan leather handles and bottom. Interior: two side pockets and one zipped side pocket. Bag measures 20″ wide, 15″ tall, 9″ deep (relaxed). Twin handles have a 7″ drop or clip on the adjustable shoulder strap (measures 54″ at longest).